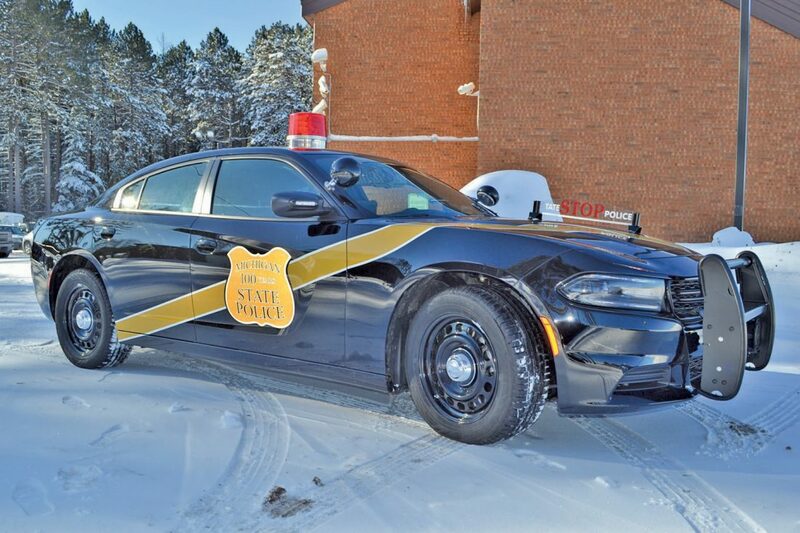 MARQUETTE — After nine Michigan State Police cruisers were struck while policing crashes between Jan. 28 and Friday in the Lower Peninsula, police are reminding the public to reduce speeds and be alert while driving in winter conditions, as well as an amendment to the existing law regarding emergency vehicles. Michigan’s Emergency Vehicle Caution law, which went into effect in 2001, requires that when motorists are passing a stationary emergency vehicle or tow truck pulled over with its flashing, rotating or oscillating lights on that they move over at least one lane or two vehicle widths if safe to do so. If it’s not possible to move over, motorist must slow down and pass the emergency vehicle with caution, police said. Furthermore, an amendment to the law will take effect Feb. 13 that will also require motorists to reduce their speed by at least 10 miles per an hour below the posted speed limit when approaching a stationary emergency vehicle that has its lights activated.